Adrian Peschi, LCAM, knew that if the retrofit went badly he’d hear it from hundreds of unofficial supervisors – the residents of the high-rise apartment building he manages in Fort Lauderdale. As general manager of the 338-unit Coral Ridge Towers South, Peschi feared the fire sprinkler retrofit required by state law would disrupt the lives of residents and bring complaints about noise, dirt, blocked hallways and other problems. But thanks to a decision to use BlazeMaster® CPVC Pipe & Fittings and to hire Sprinklermatic Fire Protection Services to install it, the retrofit as problem-free. Coral Ridge is one of hundreds of older high-rise residential buildings in Florida complying with new sprinkler requirements. While new buildings three stories or higher have been required since 1994 to have fire sprinklers, that left many older high-rises unprotected. 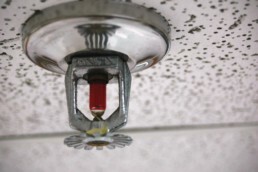 To close that gap, the state legislature set a Dec. 31, 2019, deadline for unsprinklered high-rise buildings (generally 75 feet or higher) to add fire sprinklers. Peschi said once it became clear that the sprinkler requirement would not be overturned or delayed, his priority was choosing the best contractor for an ELSS. “If we had picked the wrong company and something went awry halfway during the job, we’re the ones who look bad, so we were very concerned about choosing the right company,” he said. 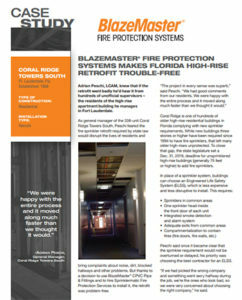 The company first interviewed Sprinklermatic, Southeast Florida’s leading fire safety company. The family-owned business explained to Coral Ridge owners, management and residents what the job required and why using BlazeMaster CPVC pipe would make the retrofit faster, less disruptive and less expensive than using steel. It also recommended a fire engineering company which drew up plans for the work. “I did not know anything about CPVC, but the more I learned, the more obvious it was that it was the right material for a retrofit,” Peschi said. Though Coral Ridge officials interviewed othercontractors, they kept returning to Sprinklermatic. “We knew they were a company that would help us look good as managers and as a board,” Peschi said. Peschi said that during the project, officials from nearby high-rises came over to examine the work in progress and were impressed by the lack of disruption and the speed of the work, both made possible by the selection of BlazeMaster pipe over metal. They’ve also taken note of the lower cost of BlazeMaster CPVC, which means smaller assessments to unit owners. Sprinklermatic Vice President Timothy O’Brien said BlazeMaster CPVC is superior to other materials. “It’s a product that we’ve been able to incorporate in multiple sectors – hospitality, residential. Anywhere we can use the product, we do. I find it to be the absolute best product to do fire protection with,” O’Brien said. BlazeMaster pipe is ideal for retrofits because it’s easy to handle; does not require power tools, welding or threading; and does not pose the same worksite fire risk that steel does. The retrofitting at Coral Ridge is done, but with the 2019 deadline looming, Sprinklermatic is working on other high-rises and using BlazeMaster Fire Sprinkler Systems to stay on schedule and keep managers and residents happy. How Does a Fire Sprinkler Work? How Do Fire Sprinkler Systems Save Lives and Property? It is a proven fact that fire sprinkler systems are very important when it comes to fighting fires. They are actually so effective that death and property loss is 65% less in a building with fire sprinkler systems. But the question is how does a fire sprinkler work and how come they are so effective in firefighting? Their effectiveness is one of the many reasons why we should have fire sprinklers in all commercial buildings. And not only. We should also have fire sprinkler systems in our homes. Imagine if all homes that caught on fire lately had fire sprinkler systems in place. People, property, and fire fighters would be safer. And this brings us back to our questions: how does a fire sprinkler work? And how does the sprinkler system contain the fire? Does heat trigger a fire sprinkler? Or is smoke the trigger? We are going to look at the picture of a fire sprinkler to understand what it's made of and what sets it off. Glass Bulb filled with liquid - this bulb bursts at rated temperatures. The actual temperature depends on the sprinkler head type. In order for a fire sprinkler to work as intended, it has to be part of a fire sprinkler system. To form a system, individual sprinklers are placed on a network of piping filled with water. Because the water is under pressure, we can say the fire sprinklers are always on standby. The sprinkler sprays water on the fire. Sometimes the fire is completely extinguished. Sometimes the sprinkler contains the fire, meaning it controls the heat and minimizes the amount of toxic smoke that develops. Since the air temperature raises fast in a fire, the fire sprinkler is also activated fast. This is why fire sprinkler systems are so effective in controlling a fire. Or assisting fire fighters in combating fires. The amount of water discharged by a fire sprinkler is minimal (10-15 gallons per minute). If this was not the case, we'd be trading fire damage with water damage. But that is not how a fire sprinkler works. Fire sprinklers are effective in extinguishing or containing fire because they react fast after a fire breaks out. They reduce the risk of injury and death because they reduce the flames, heat and smoke of a fire. Fire sprinkler systems give people the time needed to evacuate the building. They reduce property damage because they contain or extinguish the fire before the fire department arrives. Fire sprinklers are one of the best tools we have to fight fires. In 2015, fire claimed the lives of 3,280 civilians and led to 15,700 civilian injuries. The direct property damage caused by fire was an estimated $14.3 billion. One of the most effective ways to minimize the loss of life and property to fire is with automatic sprinklers. Current building codes require sprinklers in many of the most vulnerable occupancies, such as commercial and residential high-rise. Unfortunately, there are still thousands of structures that were built and put in service before sprinklers were required. Providing an economic incentive to property owners to do the right thing and retrofit properties with automatic fire sprinklers have the potential to have a significant impact on addressing the nation’s fire problem. Prior to Christmas last week, a comprehensive reform of the U.S. tax code has been passed by the United States Congress and signed by President Donald Trump. The Tax reform and Jobs Act contained several important provisions which will provide significant incentives for property owners to install fire sprinklers. Small businesses will now be able to expense installation of fire sprinklers under section 179 of the tax code up to a cap of $1 million in each year of expense. Besides, small businesses that may need to borrow money to pay for the retrofit will be able to deduct the interest expense on the loan. Larger entities can fully expense capital expenses over the next five years. Starting in 2023, the amount that can be expensed will slowly taper down. This part means that fire chiefs and local policy officials can now ensure business owners have five years for full expensing. For more information visit www.nfsa.org . This Fire Sprinkler Incentives in Tax Reform will allow for the retrofit and upgrading of many occupancies such as High Rises, businesses, restaurants, bars, and other high-risk occupancy buildings; protecting their employees and customers. When a project comes across a fire protection designer’s desk that is 612 feet tall, with 3735 heads, and 3 fire pumps, some guys would one-click a large bottle of Advil from Amazon. 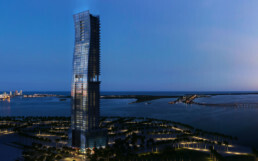 This is what Echo Brickell Miami was for the Sprinklermatic fire protection engineering team. 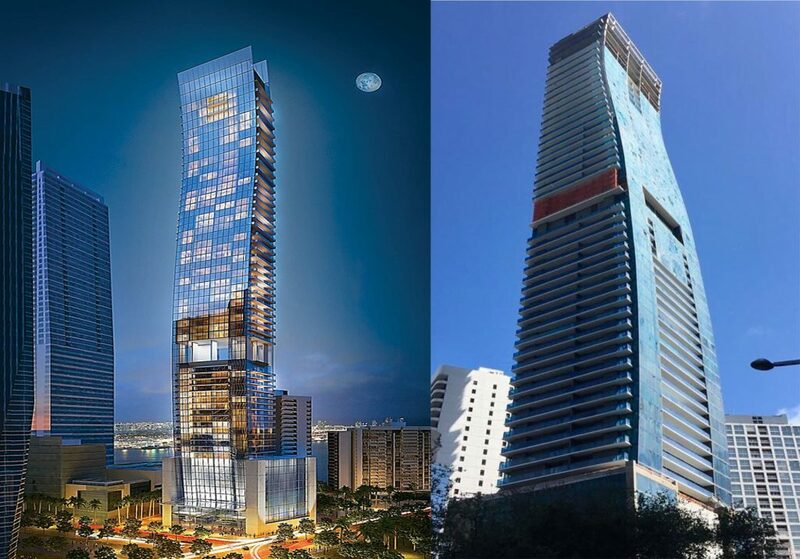 Brian Reynolds design team leader for the Echo Brickell skyscraper in downtown Miami certainly didn’t take that approach. 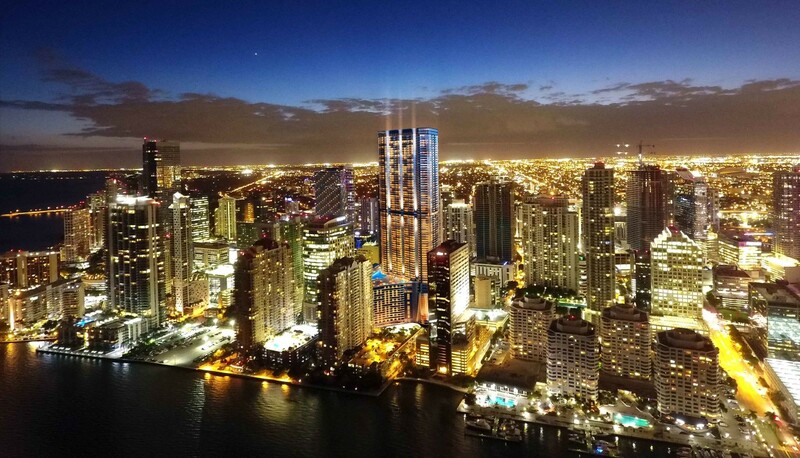 He was super excited to continue his quest to design the most complex fire sprinkler system for Echo Brickell Miami at the highest of heights in Miami. 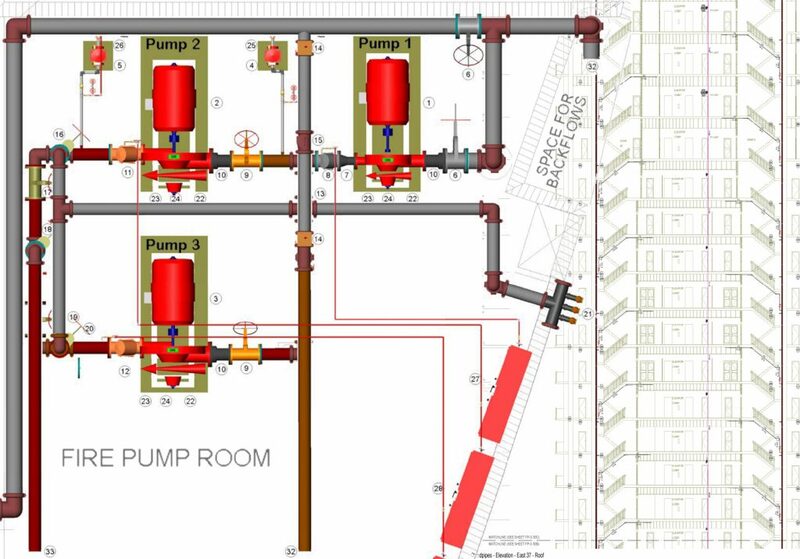 Supported by his team of designers and BIM (Building Information Modeling) team we worked closely with the John Moriarty team to provide multiple iterations of owner units and deliver the best possible fire protection design to the field for installation. With PMG as owner/developer the pressure was on to provide a high level of collaboration to integrate unique features such as automated parking as well as the lobby shark tank. A big thanks to our entire Sprinklermatic team and the trade partners, Power Design, Olympia Plumbing and Cailis Mechanical for working day and night to bring this design and project to fruition! Being selected by John Leete and Rick Schuerger of JMA as the fire sprinkler design and installation contractor to work with their team on the amazing PMG project Echo Brickell, was quite an honor. This projects design team led by Brian Reynolds of Sprinklermatic included 3 pumps in series to achieve the required 100 psi flow at the roof which measures 612 ft., we were fortunate to work with Sam Wayland and his coordination team along side of Stantec to solve the design requirements with multiple owner unit changes. This type of collaborative effort with incredible trade partners such as Power Design, Olympia Plumbing and Cailis Mechanical translated into a well-run machine for our team in the field. Adam Crowell as superintendent and Eli Dawson as foreman communicated and worked with John Daniels of JMA who brought his multiple years of experience in the High Rise space to the table. We have now completed the building and began testing for finals. We look forward to Echo Brickell opening in the coming weeks. SPRINKLERMATIC has created a unique Supply Chain Management system that utilizes a Single Source for all our material. Our Supplier manufactures the CPVC pipe, fittings and glue. They distribute through their own supply houses. They fabricate and deliver both steel and CPVC. SPRINKLERMATIC emphasizes training trough our annual Best Practice training day. All of our team members receive proprietary CPVC training and certification. We are the only Fire Sprinkler contractor to have CPVC glue ASME Bonder qualification. Supply Chain Management involves the handling and oversight of material, from the time it is manufactured to time of install. Here at Sprinklermatic we take pride in the SCM process we have implemented. Sprinklermatic works directly with our Trade Partners, a global leader in fire protection and life safety systems, to bring the highest quality product to every project in the most efficient manner possible. Through the observations and investigation of field installations, and with laboratory analysis, it has been shown that the exposure of certain chemicals and chemical combinations can affect the overall performance of CPVC products. This has become a noteworthy issue in regards to the reliability of fire sprinkler systems over the past several years. Laboratories and manufacturers have addressed this issue by releasing literature identifying products that are compatible with CPVC products, as well as literature listing specific products that are not compatible with these CPVC products. For a product to be considered “compatible” with CPVC it must be identified as suitable by CPVC manufacturers, or suppliers, for use with all CPVC products and combination (or hybrid) systems and/or it must be deemed suitable for use in such systems by a third party when tested to a generally accepted protocol. There are a number of these protocols available for the purpose of evaluating suitability. WHEN ADDRESSING COMPATIBILITY ISSUES WITH CPVC, WE CAN ORGANIZE OUR CONCERNS BY VIEWING THEM IN THREE SPECIFIC AREAS. The first area of concern is the presence of internal antimicrobial coatings for steel pipe, when used in combination with CPVC products (i.e. hybrid systems). Our trade partners Fabrication shop has been audited and is responsible to provide a Blazemaster CPVC compatible fabrication facility; using only products that are Blazemaster CPVC compatible. 2-The second area involves ANCILLARY PRODUCTS used with CPVC such as cutting oils, thread sealants, and antifreeze. By eliminating multiple vendors and working directly with a single source who Manufacturers – Distributes – Fabricates Steel and CPVC – Delivers – Trains and Certifies the installers; we feel like we have gone through great lengths to prevent CPVC contamination. As a sole source provider; we have eliminated the finger pointing as to the responsible party for contamination due to ancillary products. Our trade partner has audited the manufacturing, fabrication and distribution facilities and has documented that no incompatible products are present in either facilities. I believe Mr. Hendrix may have said it first, however the TEAM at the Panorama Tower can certainly feel confident in echoing that sentiment, having risen above the clouds this past January, the tallest building between here and NYC certainly is making a statement. 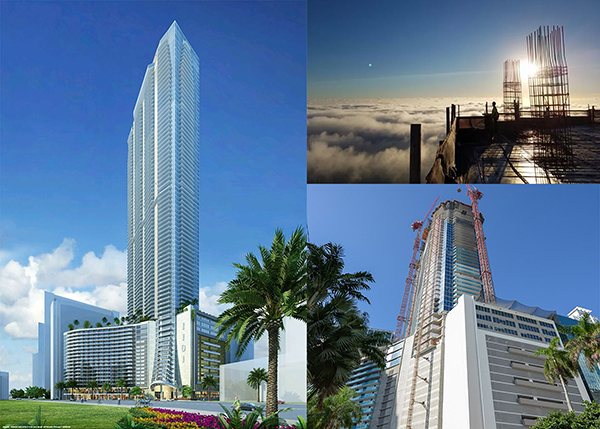 This amazing 868 ft. tower, developed by the team at Florida East Coast Realty, and built by the Tutor Perini Building Corporation, is creating a race to the sky here in Miami. With recent FAA approvals, this community is about to see what we call in the marlin fishing community a “grander” at better than 1000 feet. Our team, led by Scott Gorham and David Stewart, met the first challenge in early 2016 by getting the first 16 floors of parking open. The man‐hours that went into that effort alone was amazing, however to see the team pull together the next 66 floors has been a great deal of fun to watch. This fire protection system is intricate to say the least. When Robin Collier first met with the team he literally had to go to the drawing board to better understand the pumping systems and water requirements. He pulled in Design Team Leaders, Brian Reynolds and Scott Searing SET, while working very closely with Kris Singh at Steven Feller PE, it wasn’t long before we knew we could do it. With 5 pumps, a break tank, and 22,000 gallons of water held at the roof and pumping down the building, Miami had seen nothing like it. The collaboration between Developer, Builder, Designer of Record, and contractors has created a team that will deliver a monumental project here in Miami.